A backsplash provides a water-resistant cover to areas often damaged by splashes from a nearby sink, and a transition between the counter and the wall. Gaps behind cabinets, due to irregular wall surfaces, are often covered with a backsplash. In the kitchen a backsplash adds style and color, as well as a robust surface that can stand up to frequent cleaning. I have worked on many types of backsplashes, ranging from simple up-curved molded tops in basic Formica to custom tile and stone creations. Here are a few of my favorites. One of my more colorful backsplash installations mixed 4” glazed Italian tiles with handpainted Mexican tile, in a diamond pattern to create even more visual impact. The Mexican tiles were slightly larger than the Italian ones, so I trimmed an 1/8” trimmed from each side -- an easy task since those tiles were soft terracotta. In addition to the new tile counter and red cast iron sink, I built a custom drawer and new doors for the lower cabinet area. This cabinetry had been site-built over 20 years ago and was integral to the adjoining walls, so the owners went for a more economical facelift rather than a complete tear out and new installation. As bold and colorful as the previous backsplash may be, it is not for everyone. Here the client chose more subtle hues to match the decor of this kitchen. I did this backsplash in glazed 3” ceramic tile. 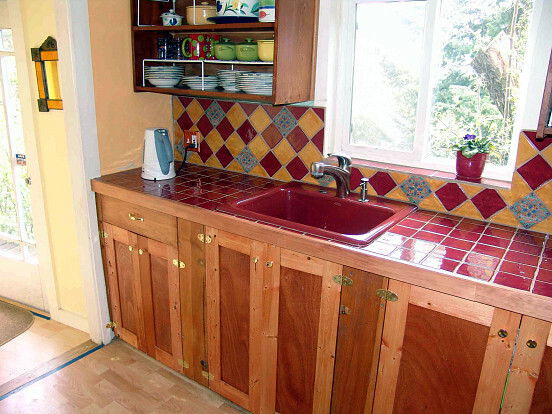 The color here is a closer match to the cabinets and laminate countertop. I've done a number of kitchen projects using granite tiles. 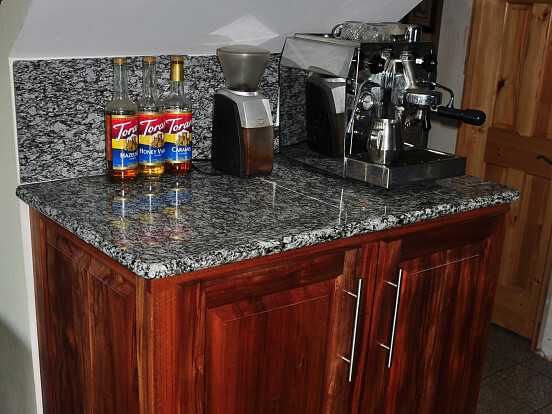 Granite is a great material for kitchen work areas -- extremely durable and available in a multitude of colors and patterns. Here the backsplash features the same granite as the work surfaces. This kitchen remodel was a project designed with a modest budget, off-the-shelf cabinets from a big box store and mid-priced granite tiles. I set the tiles on a built-up top and installed custom maple trim with walnut screw caps. 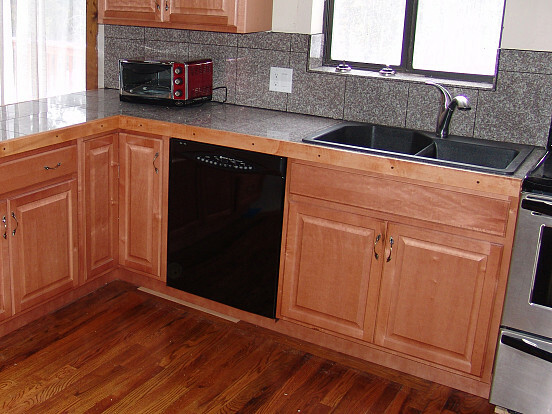 This kitchen had been remodeled prior to the current owners' purchase, but a backsplash was never installed. The installation of this backsplash was simplified by not having to remove existing material. 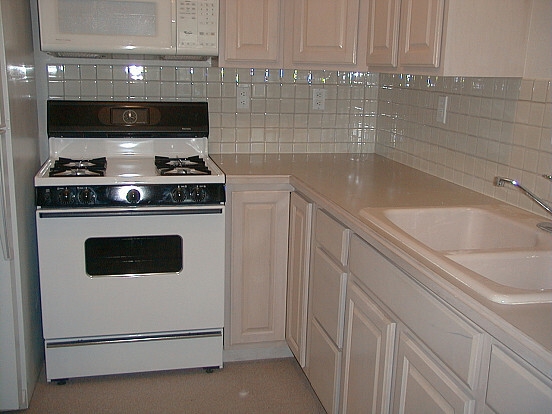 Here the homeowners decided on glass subway tiles. Glass tile presents some added challenges in the installation, as the cut edges can chip more easily than ceramic, and you must take care not to damage the colored backing. 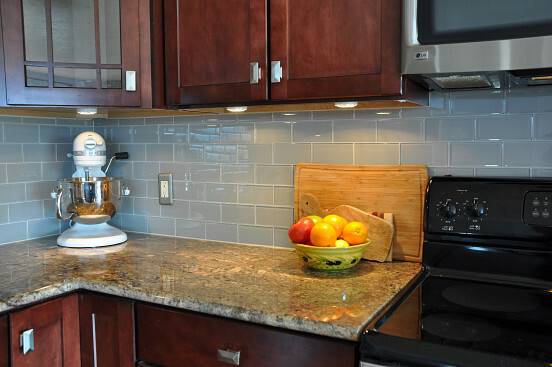 This elegant backsplash was further highlighted by the installation of low voltage undercabinet lighting. I recently installed granite tile on my own pantry cabinet, which I built with African Stripped Mahogany. Unlike a lot of other tile installations, I chose large 18” x 21” granite tiles for this project. These, combined with 3” wide bull-nosed edge pieces, can give you a “slab” look at a very reasonable cost. Using these same large tiles for the backsplash results in fewer grout lines and a cleaner look. One challenge in backsplash installation often involves edge details. It is possible to polish the edges of natural granite and marble, but if your design involves ceramic tiles, check to see if “special” tiles are also available. 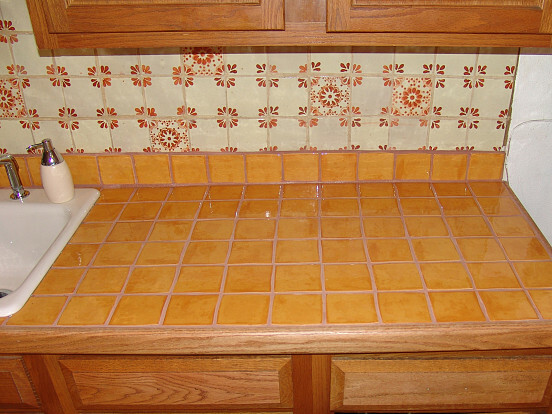 Here we used bull nosed edge tile for the outside row, and special edge tiles for the countertop. 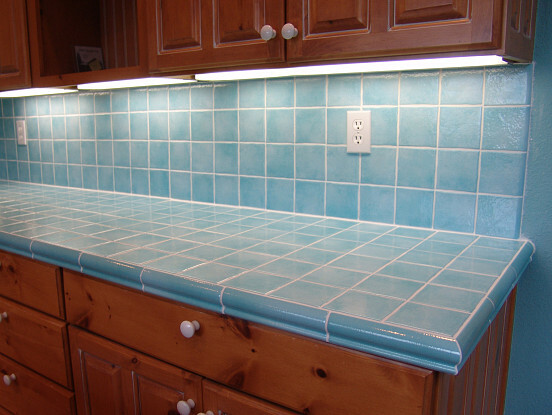 Strong undercabinet light provided by fluorescent lights really make this sky blue backsplash pop. This unique installation already had a tile backsplash, which was not that attractive. The pre-existing tile had been installed on a concrete wall with the upper wall cabinets on top. To remove the old tile would have been a very complex and costly project. So instead, I installed new counter tile and then a simple row of tile over the existing tile to result in a more modern backsplash. Custom backsplashes add flair to bathrooms as well. In this installation, I replaced a small wooden shelf with a cubby below with a granite backsplash. 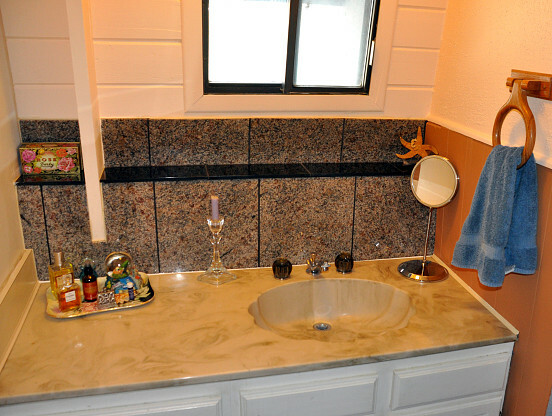 The two colors of granite here were also utilized in other areas of the home. Consistent use of materials brings the overall home decor into balance. Black granite with polished edges gives sophistication and style. If your kitchen or bath is dated, a simple replacement of the backsplash may provide a much needed update. I hope that these photos have inspired you to create something unique for your own home, whether you install a DIY backsplash or hire a tile pro to take care of the project.